"If you are just learning about Pyer Moss, we forgive you," reads the back of one of the label's T-shirts. Now that Pyer Moss has officially won the coveted CFDA/Vogue Fashion Fund Award, designer Kerby Jean-Raymond might be tempted to say this phrase ad nauseam. 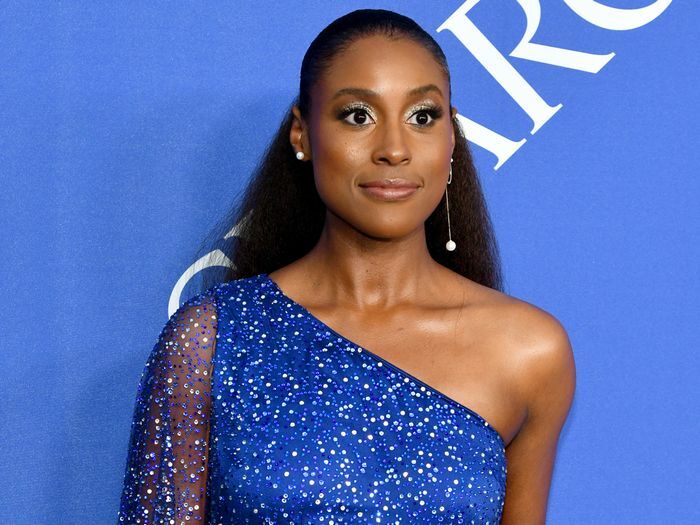 While industry insiders have been paying attention to Pyer Moss for a while now—thanks, in part, to Issa Rae and Tracee Ellis Ross wearing the brand on major red carpets—this award is about to take it to the next level. As the winner, Jean-Raymond will receive $400,000, while Bode and Jonathan Cohen will each take home $150,000 as runners-up. In a September 2018 interview with Garage magazine, Jean-Raymond explained what he seeks to achieve with his brand. "I want to show that black can be beautiful and not just sensationalized,” he told Garage. "Not always tragic, not always 'for your entertainment.' It can exist on the sole purpose of us being us, and that's what these kids represent." He also underscored the importance of casting models who don't fit the norm. He told Garage that he casts "people that look like me, people that look like my friends. People that are overlooked in normal bookings." The award was announced at a Kim Crawford Wines–sponsored dinner, where Jean-Raymond mentioned Anna Wintour's kindness and generosity in his speech. Scroll down to revisit some of Pyer Moss's best fashion moments thus far, and stay tuned for plenty more to come. “Stories About My Father” — The Autumn Winter 2017-18 Campaign. Photographed in film by Driely S. and styled by Eric McNeal. Shot in my family’s home.